Welch Equipment Company Joins Taylor Machine Works as a Dealer – Inland Rivers, Ports & Terminals, INC.
Taylor Machine Works, Inc. has a new partner joining the “Big Red Team”. Hal Nowell, Director of Sales, stated, “I am excited to announce the addition of Welch Equipment Company, Inc. as a new authorized Taylor Dealer. At the helm of this company is the Rice family who are backed by an energized and aggressive sales and marketing team that is dedicated to service and support for large equipment. Welch Equipment Company is a dynamic asset to enhance the already impressive Taylor dealer network. Like Taylor Machine Works, Inc., Welch Equipment Company is a family owned company and shares the same values of hard work and is dedicated to their customers. 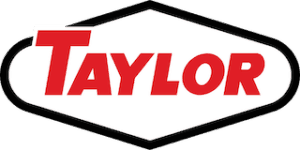 Located in Denver, Colorado, Welch Equipment Company will serve Taylor customers for the state of Colorado, along with the counties of Daggett, Uintah, Duchesne and Carbon in North East Utah. For more information on Welch Equipment Company, Taylor Machine Works, Inc. or any Taylor Authorized dealers, visit www.taylorbigred.com.